OnLive, a company that recently began offering hosted Windows and Office software remotely from its servers to iPad and Android tablet users, is in violation of Microsoft licensing rules, according to a Microsoft official. "We are actively engaged with OnLive with the hope of bringing them into a properly licensed scenario, and we are committed to seeing this issue is resolved," wrote Joe Matz, Microsoft's corporate vice president of Worldwide Licensing and Pricing, in a blog post. In January, OnLive launched OnLive Desktop, a free cloud service that offers its subscribers "a seamless" Windows desktop experience and "full-featured" Office applications, as described by the company's CEO Steve Pearlman in a blog post at the time. Originally available only for the iPad, OnLive Desktop now also works on Android tablets and the company plans to add support for more platforms. Fee-based versions of OnLive Desktop add more features, such as accelerated browsing, additional storage and Flash support. The service got a boost in popularity when The New York Times' tech columnist David Pogue wrote about it in late February, which prompted a surge in sign-ups as well as grumblings from other Microsoft desktop-as-a-service partners that felt OnLive was skirting licensing rules. Days later, Gartner analyst Michael Silver and two colleagues warned IT managers that it was unclear whether OnLive Desktop complies with Microsoft licensing agreements and to take precautionary steps before allowing employees to use it, chief among them meeting with their Microsoft account team to get written guidance about licensing issues. "In Gartner's view, if Microsoft were to conclude that OnLive is misusing its products, Microsoft could potentially take action against OnLive that could affect OnLive's ability to service clients. Gartner believes that there's also a risk that Microsoft could hold both OnLive and its customers responsible for any potential mislicensing," Silver and his co-authors wrote on Feb. 29. 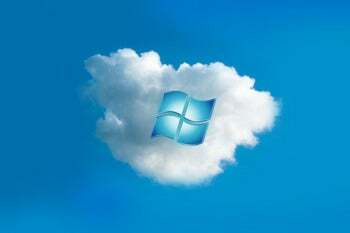 Microsoft remained mum about the issue until Matz's post, published on Thursday afternoon, in which he outlined how partners and outsourcers can use Windows 7 Clients on hosted server platforms to deliver desktops as a service while complying with their licenses. According to Matz, customers can have a partner host Windows 7 in a Virtual Desktop Infrastructure for them, as long as the customer has licensed the software directly from Microsoft. "The hosting hardware must be dedicated to, and for the benefit of the customer, and may not be shared by or with any other customers of that partner," he wrote. Another valid scenario allows partners that have entered into the Services Provider License Agreement to provide "some desktop-like" functionality to any customer, even those that haven't licensed the software directly from Microsoft. The software involved is Windows Server and Remote Desktop Services. However, partners aren't allowed to provide Windows 7 as a hosted client or Office as a service through Windows 7. "Office may only be provided as a service if it is hosted on Windows Server and Remote Desktop Services," he wrote. Asked for comment, an OnLive spokeswoman said on Friday via e-mail that the company's position is that "we have never commented on any licensing agreements." The situation highlights issues with Microsoft's licensing strategy, such as the fact that some of the language, definitions and requirements are vague, Gartner's Silver said on Friday. "There's a bunch of things that aren't all that well defined," he said. In addition, Microsoft's licensing hasn't kept up with technological advances, so partners find themselves able to provide certain features and functionality which are currently forbidden or complicated to deliver from a contractual standpoint, he said. "Microsoft definitely needs to have their licensing catch up with technology. There's no doubt about that," Silver said, adding that Microsoft also needs to make sure that it is keeping up with customer expectations. While weighing new demands from customers and partners, Microsoft has to make sure that if and when it modifies licensing terms, it doesn't hurt its business and its revenue stream, Silver said. For example, Microsoft can't change its licensing requirements in a way that turns key products like Windows and Office into cheap commodities. "The red flag here [with OnLive] was that you [as a customer] can run a Windows desktop and a copy of Office without paying for it. How does that work? Someone has to be paying for it. If it sounds too good to be true, it probably is," he said.